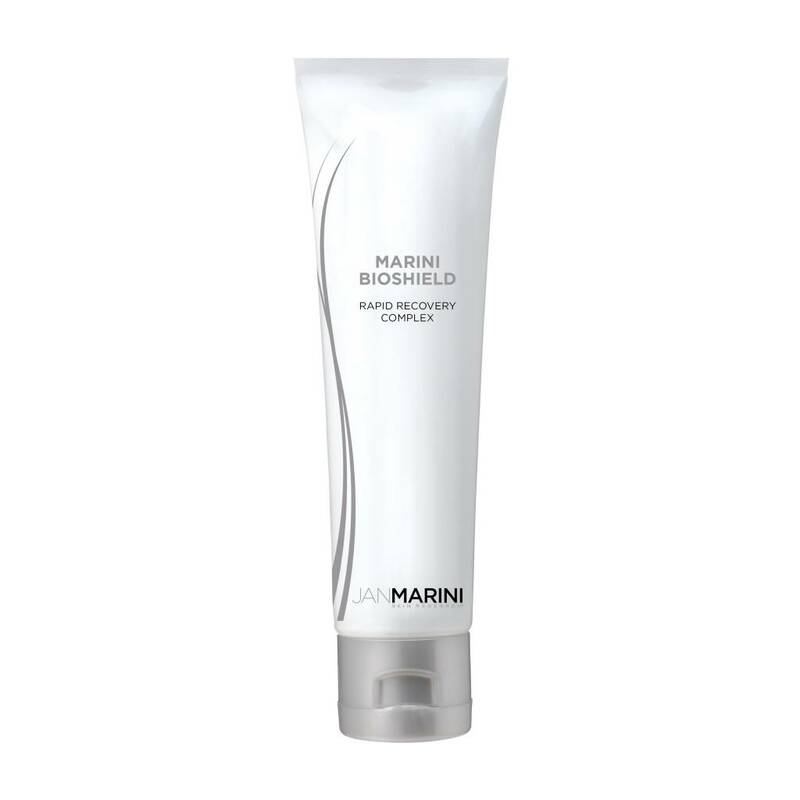 Stay on the cutting edge of post-procedure recovery with Marini BioShield. Hydrates and protects the skin to enhance recovery while reducing visible social downtime. This patented, silicone-based, non-petrolatum formulation with targeted growth factors, peptides and anti-inflammatory agents provides an occlusive, oil-free matte-finish for superior wearability and satisfaction. Designed for immediate use following chemical peel treatments, PDT (photo dynamic therapy), ablative and non-ablative laser procedures, and most treatments commonly associated with social downtime. This product is intended to be applied like a mask in a thicker layer to cover the skin for barrier protection. It is not meant to be rubbed in or patted on.